How can you get a Saizen prescription? Work with a reputable and well known human growth hormone (HGH) clinic that has a successful track record. Work with a clinic that only has the most professional, compassionate and skilled clinical advisors. Work with a clinic that requires blood testing to see if you have a growth hormone (GH) deficiency and how low your GH levels are. You must also get a physical exam and share your medical history via an online medical history form. Work with a clinic that only has trained and licensed medical doctors who specialize in endocrinology (study of the hormones of the body) or who work in a closely related medical field. Work with a clinic where the licensed doctors analyze test results, diagnose correctly and write very accurate prescriptions and individualized treatment plans for therapy. Work with a clinic where the licensed doctors provide full time medical supervision throughout the entire treatment process. Work with a clinic where clinical advisors are available via phone for questions, concerns or any problems that might come up during therapy. Work with a clinic that follows all the rules and regulations of the laws governing HRT and HGH use. Human growth hormone is a controlled substance. It cannot be legally obtained by just anyone and a person must get a prescription for Saizen before they can use it. Make sure that you have a comprehensive first initial consultation with an advisor to learn about hormone replacement therapy (HRT) when you first wish to participate in this kind of treatment. This conversation will be via telephone using our toll free phone number. It will teach you about the process and you can ask all of your questions. You and your clinical advisor will be able to determine if you should move onto the next step towards a therapy plan; and that will be testing. This first consultation is free of charge. If you do not learn how to get prescription for Saizen and you decide to buy this medication from an unknown source, you could be putting your body at a great risk for problems. Many times unknown sources will sell fake medications at cheaper prices. They can sell medications that have not gone through a sterile and careful manufacturing process and hence, the solutions can contain bacterial residue in them. This can be very dangerous to your system. When a Saizen prescription is written by a doctor from Greenberg Health and the medications come from us, you know that they have been created under the most favorable atmospheric conditions possible. You will know that they are 100 percent authentic and free from any harmful particles. Occasionally, even one of our medications may have an issue, but this is why we strongly advise our patients to check the vials of Saizen and bacteriostatic water both before and after reconstitution. This way you are double checking its purity. If for any reason something does not seem right, we will take the medication back and ship you brand new vials. It will be very rare when our medications are not of the highest standards and top quality. If you are looking to learn how to get a Saizen prescription, you have come to the right place. We are going to share step by step with you how to get this prescription legally from our doctors. You will find it to be a truly simple and non-stressful process. The first step to getting a legal prescription for Saizen is to call our toll free phone number. You will speak to an expert clinical advisor who works with us about your situation. You can be completely at ease by knowing that your advisor is fully competent, skilled and knowledgeable. You will immediately notice his or her level of compassion and understanding for those going through the issues associated with a GH deficiency. Your first conversation, which is absolutely free, will consist of learning about the process of HRT, sharing your symptoms, goals for treatment and learning how to get a prescription for Saizen. You will be afforded the opportunity to ask any questions and to bring up any concerns that you might have regarding HRT and what is involved. If you and your advisor decide that you should continue working with Greenberg Health, your advisor will set you up with an appointment to get a physical checkup completed and blood work drawn. This will be in a nearby local clinic that is close to your home. You will be advised that testing is mandatory and that when you go to the clinic to get tested, that will be the only time you will be required to leave your home for HRT treatment. You will also be asked to fill out a medical history form, but this can be done in the privacy of your home at your computer. Your information will be sent to us via a secured online connection. You are always advised to be completely honest and open, sharing all your information with us. This is how we will best be able to treat your growth hormone deficiency if it is discovered to be present. After you have finished with the testing process, you will have to wait for our doctors to fully analyze your medical information. This is the time when they will discover if you are dealing with low GH levels that are causing the symptoms that you are feeling. 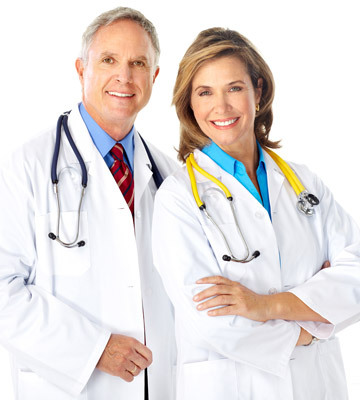 If one of our doctors finds that you have a growth hormone deficiency, he or she will diagnose you with such and write your Saizen prescription. They will also create a full, individualized treatment plan for you. As you can see, the process of getting a prescription for Saizen is simple. All you need to do is get your testing completed and be as honest with us about your medical history and current symptoms as you can. This way we can best help you with the most accurate prescription and treatment protocol. Our advisors and our doctors work closely together to make sure that you are always safe, free from any negative side effects and that you are getting positive results from treatment. You should feel completely comfortable working with our staff and know that you are in the best hands possible. We will make getting a Saizen prescription as stress-free as possible for you.